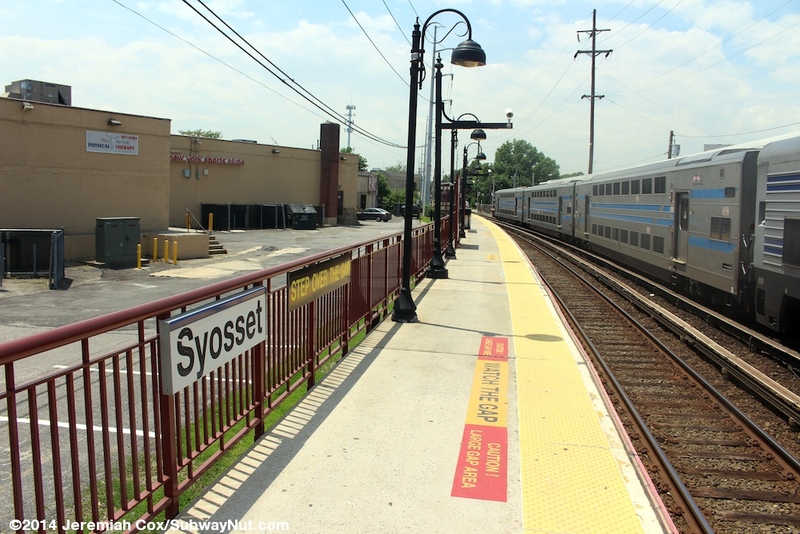 Syosset is one of two LIRR Station's in Nassau County (the other is Oyster Bay) that has no connecting NICE Bus Service in its proximity. 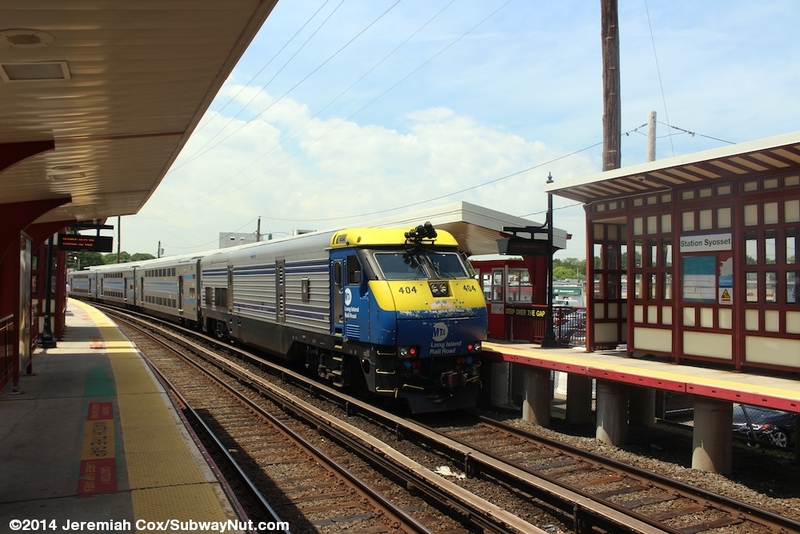 The station is also dangerous with the two side platforms for the two-track line located on a sharp curve. 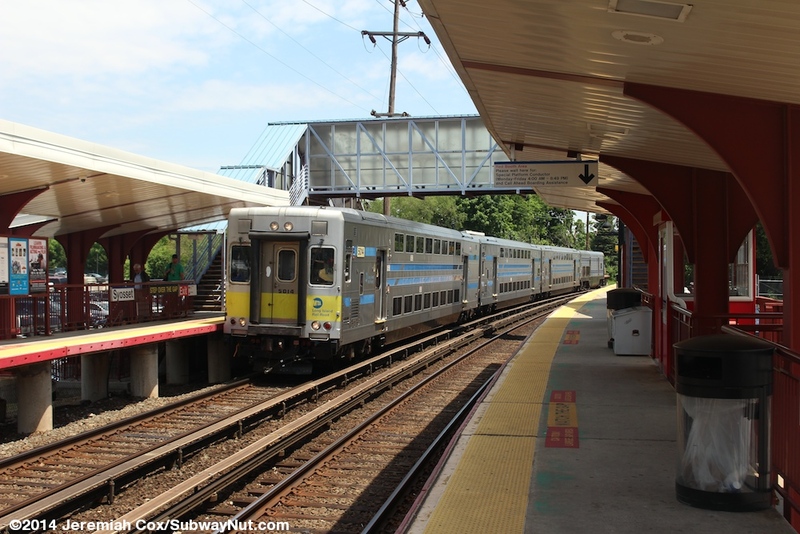 The platforms are full-length, able to accommodate 12 cars. 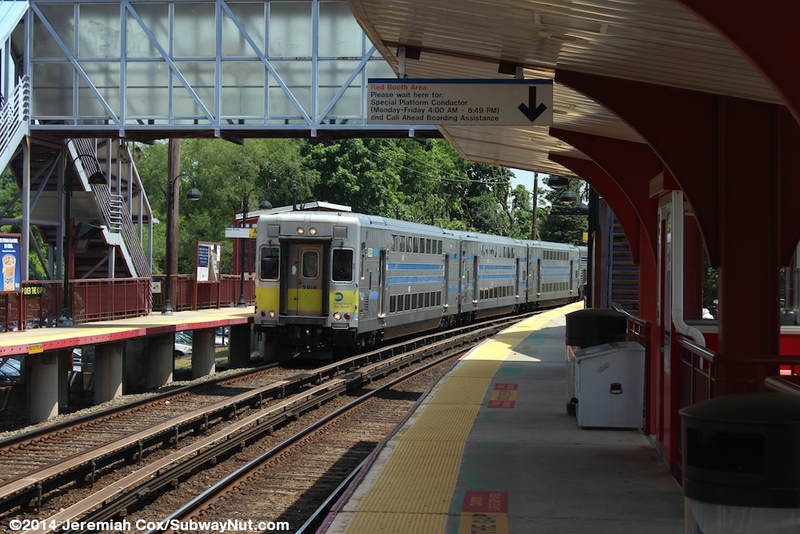 The curves of the platform leave wide gaps that can be over a foot, although the MTA claims the gap is always within its guidelines at fewer than 10 inches. To remedy the gap, the station has a numerous Watch the Gap Caution: Large gap stencils painted onto the platform. 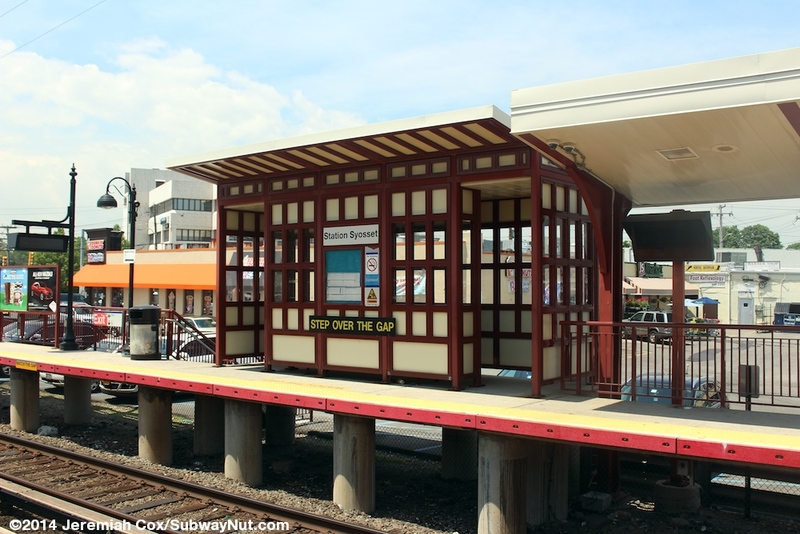 There are also freestanding Step over the Gap signs on the platform fencing. 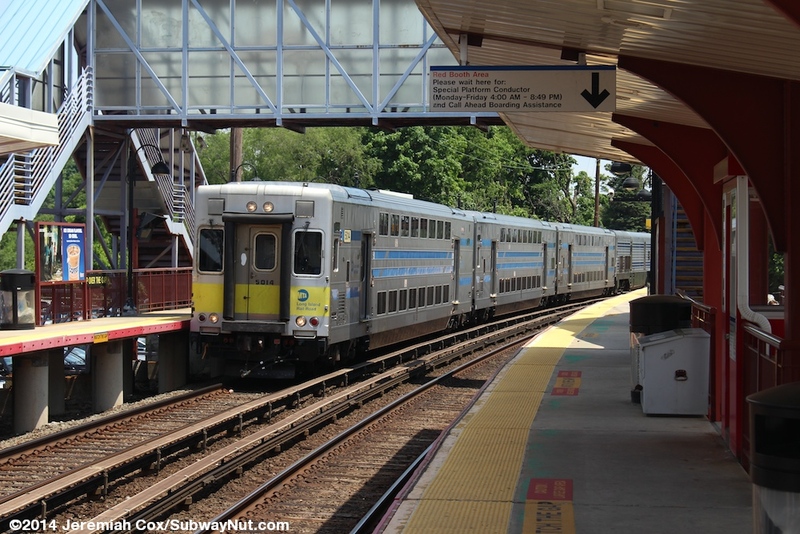 In 2007 a new platform edge was added along with the addition of a CCTV system for conductors closing the doors (there multiple monitors along the entire platform), giving them the ability to close the doors safely. 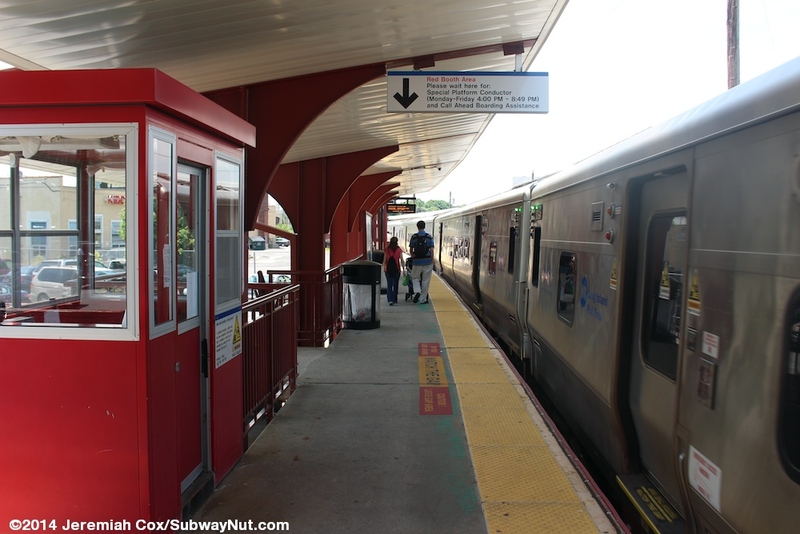 Finally each platform has had a small red booth installed that is staffed by a platform conductor who's job is to help those desiring assistance over the wide gap. 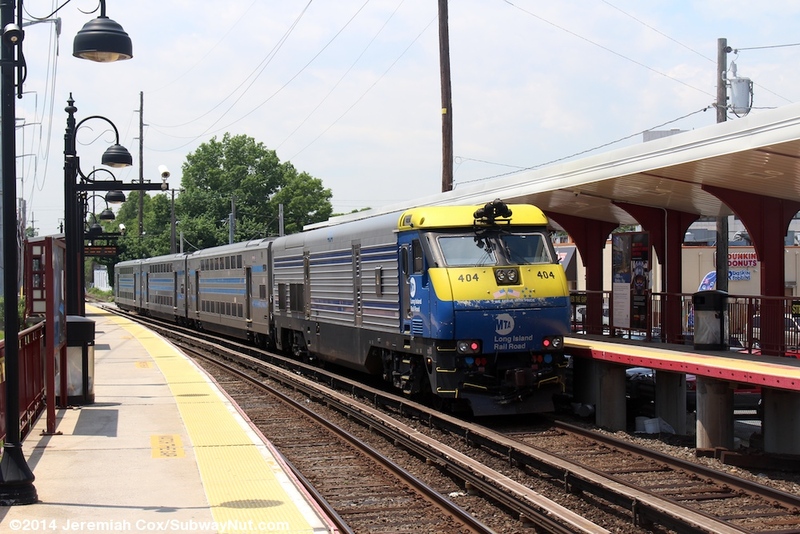 The New York-bound platform is staffed between 5:35am to 12pm weekdays, with the Huntington/Port Jefferson-bound platform is staffed between 4:00pm and 8:49pm. 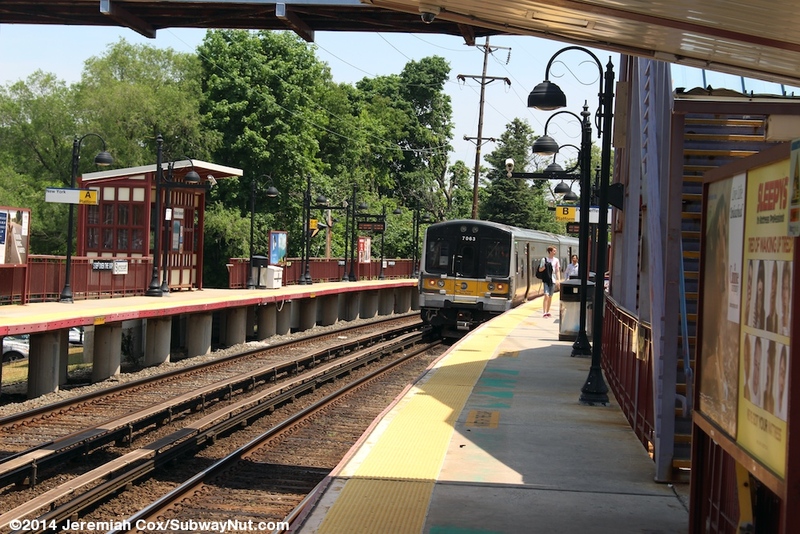 The station's two platforms were renovated in the early 2000s and have modern red railings, not the original silver ones. 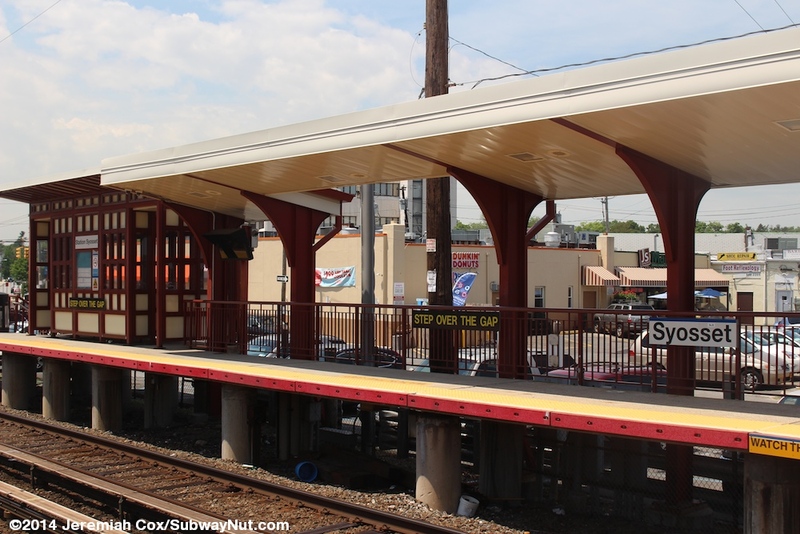 More than half the New York-bound platform (from the overpass nearly to the grade-crossing end of the platform) and a small portion in the middle of the Port Jefferson-bound platform is covered by a canopy that has a deep angle is and held up by red support beams. 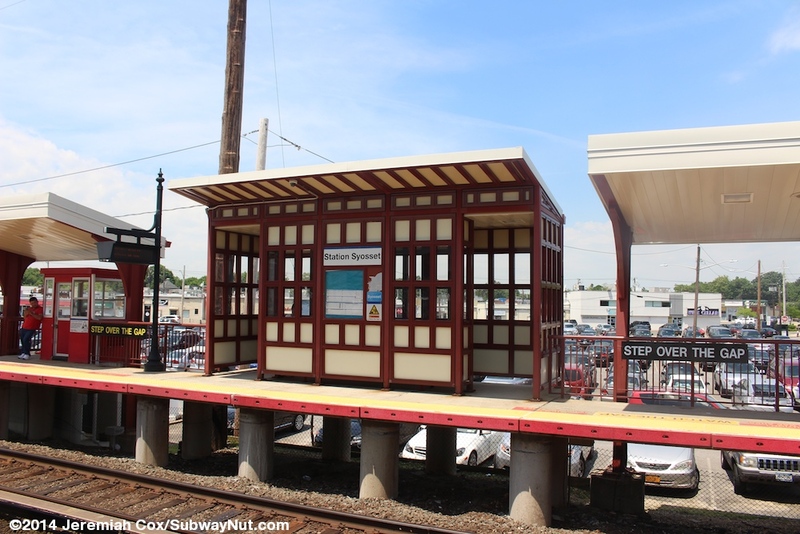 There are also three modern red and cream shelters (with red benches inside them) along the New York-bound platform and two along the Port Jefferson-bound platform. 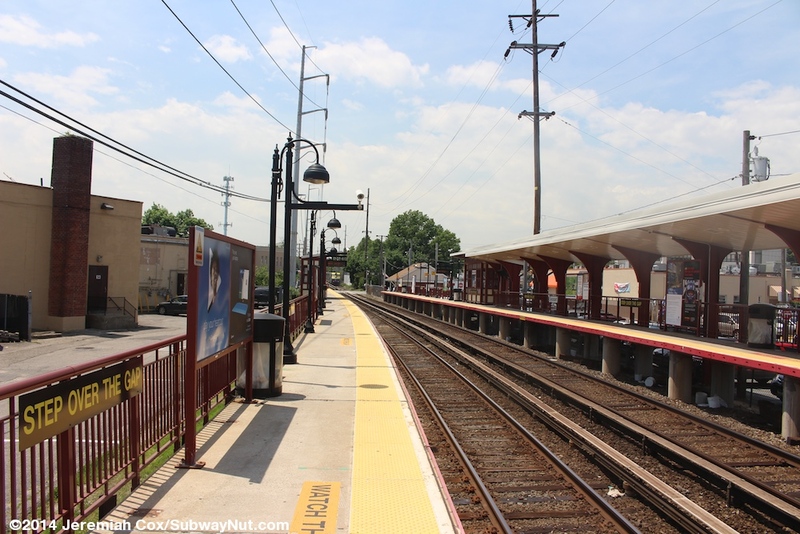 The platforms begin just east of the grade-crossing of Jackson Avenue. 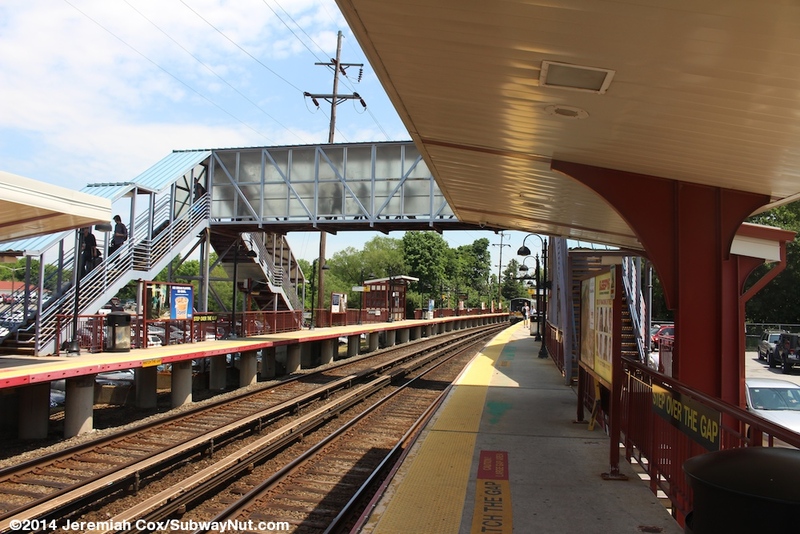 There is a bit of space between the grade-crossing and the beginning of the platforms. 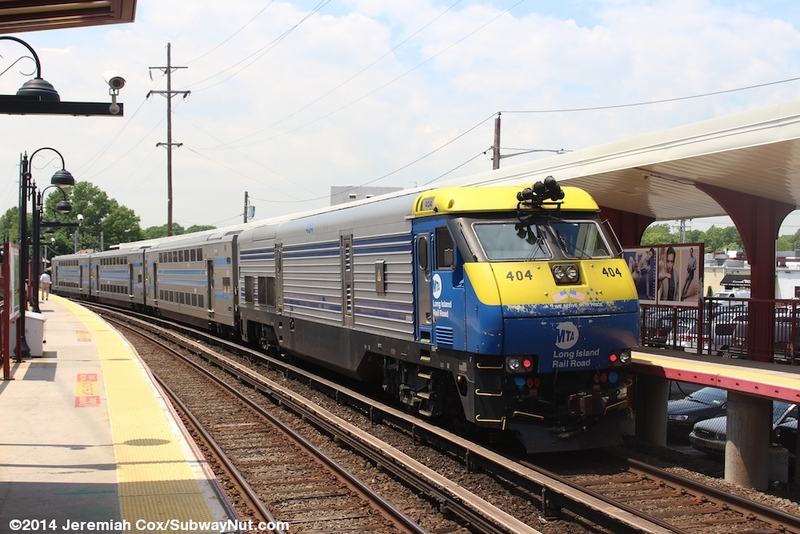 This is clearly where the low-level platforms originally were pre-1970. 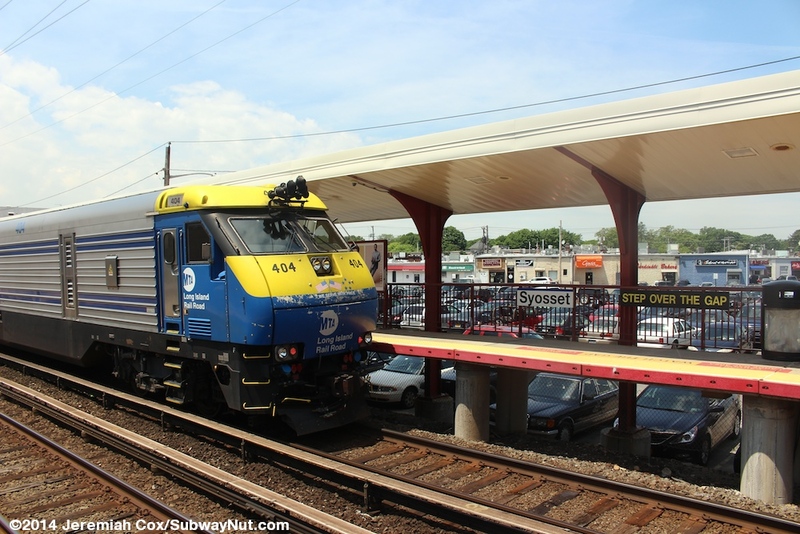 Along the sidewalk to the ramp up to the New York-bound platforms is a nondescript brick walled with a gabled singled roof depot built in 1948. 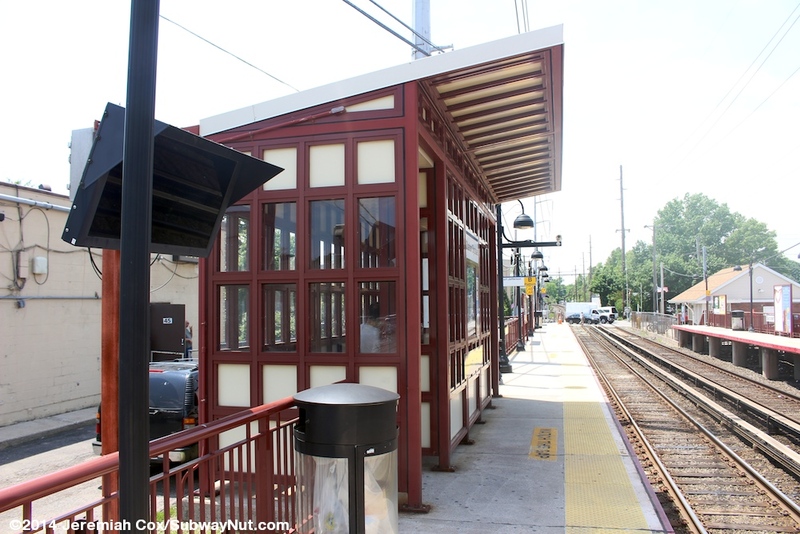 The building was built in Inside is a tiled waiting room and ticket office still open for one shift during weekday mornings (5:40am to 1:15pm) with the waiting room open similar hours. 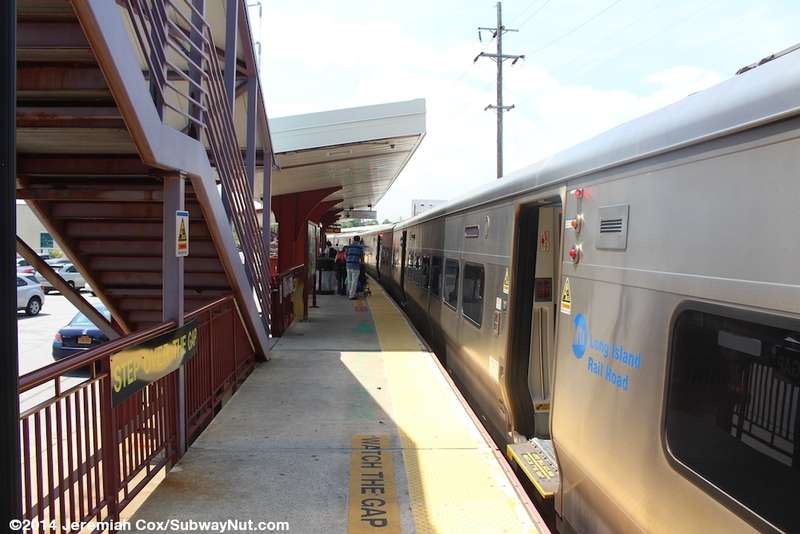 About a third of the way from the eastern end of the platforms is a pedestrian covered bridge. This bridge has two staircases up to it at each end and looks a bit shabby painted grey. Along the overpass are semi-translucent panels with plenty of Scratchiti. 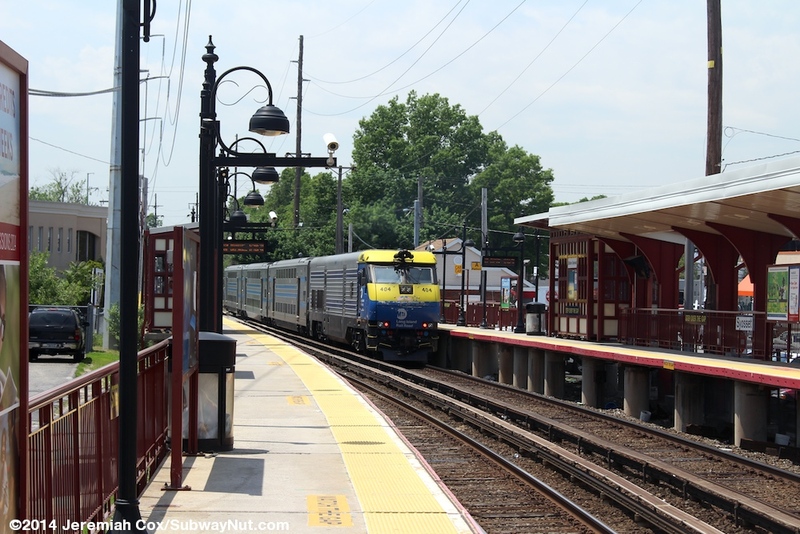 Almost the entire length (with frequent staircases) of the New York-bound platform is along the station's main parking lot that extends to Cold Spring Road. Portions of this parking lot are significantly below the grade of the tracks. 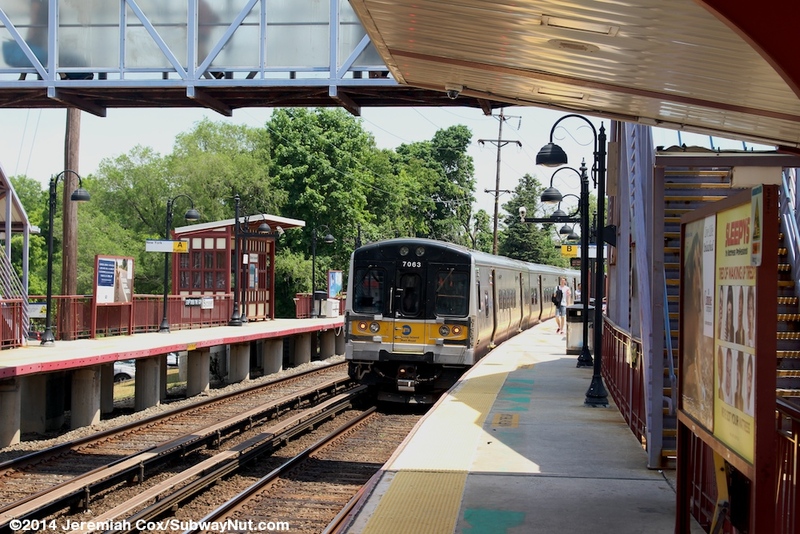 There is a second, smaller parking lot along the Port Jefferson-bound platform between the middle of the platform (where the overpass is) and Ira Road. 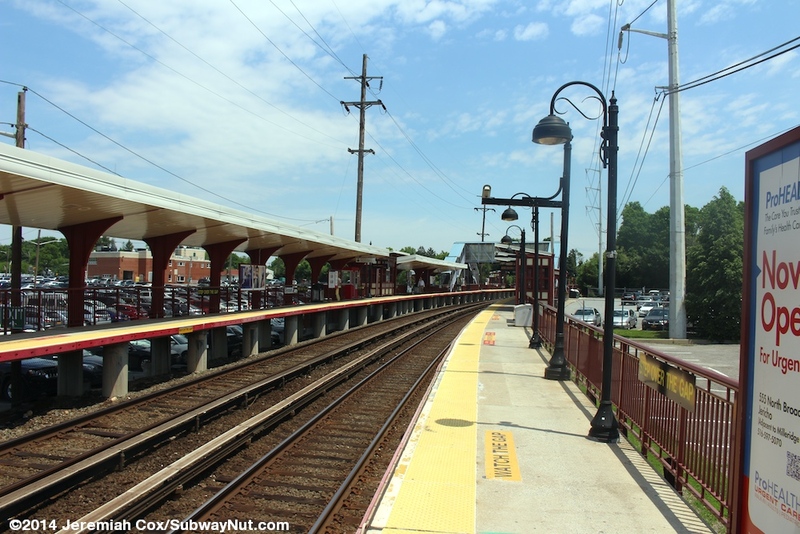 All parking is Town of Oyster Bay permit required but otherwise unreserved.